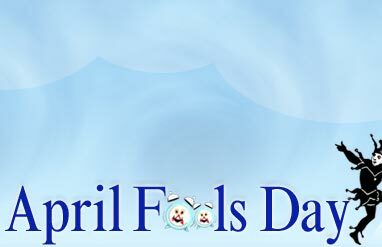 History of April Fool’s day is not totally clear, but the closest point in time that can be identified as the beginning of this tradition was in 1582, in France with the reform of the calendar under Charles IX. The Gregorian Calendar was introduced, and New Year’s Day was moved from March 25 – April 1 (new year’s week) to January 1. However, communication traveled slowly in those days and some people were only informed of change after few years. On another hand, still got people who are more obstinate crowd, refused to accept the new calendar and continued to celebrate the new year on April 1. These backward folk were labeled as “fools” by the general populace. They also known as a “poisson d’avril” or “April fish” because a young naive fish is easily caught. In addition, one common practice was to hook a paper fish on the back of someone as a joke. Anyway, different country got their own April’s Fool’s Day “style” because of this tradition eventually spread to all around the world. Keep aware at 1st April & don’t be surprised if April fools fall playfully upon you. This entry was posted on Saturday, March 31st, 2007 at 9:44 pm	and is filed under Interesting Stuff. You can leave a response, or trackback from your own site.